Hey Mama! 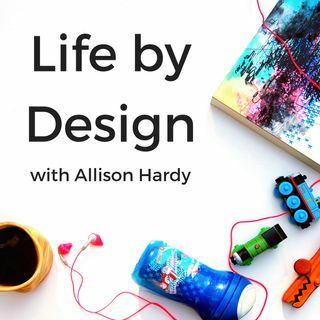 And welcome to episode #88 of the Life by Design Podcast with Allison Hardy! Today's episode is the audio from the third Facebook Live in the From Groupies to Wallflowers: the Ultimate Facebook Group Challenge, so you may hear me interacting with and talking to an audience as you listen to this episode! We all know that engagement is king on social media. But in your Facebook group engagement determines if it thrives or if it dies. If no one is talking in your group ... See More there is no point to your group. So when clients come to me with this pain point, we go back and look at how they are showing up to their group. As a Facebook group creator and owner, you absolutely have to model the behavior that you want your group members to engage in. A leader-less Facebook group is useless.